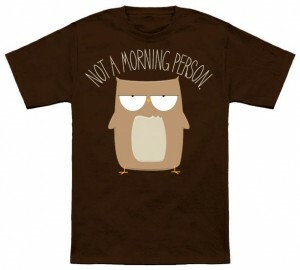 For most of us a day doesn’t start till after the morning coffee and this t-shirt tells that story. On this t-shirt you can see the text “Everyday Is A Fresh Start” and there is a hot cup of coffee on it to. This t-shirt comes in many colors, sizes and styles for men and women so you can find the t-shirt you want to and then have one with this design on it. 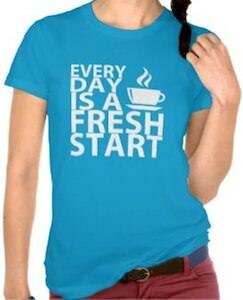 Why not have a fresh start everyday and what better way to start then in a fresh t-shirt and a coffee. Get ready for tomorrow with this Everyday Is A Fresh Start T-Shirt.